The reader can know all that he should know about the indigenous system of medicine. 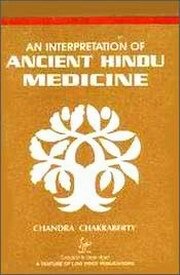 Chandra Chakraberty, an acknowledged authority of Ayurveda or Hindu medicine, offers in this well written and well-researched treatise an interpretation of the salient principles of, Hindu medicine,based upon Charaka and Susruta in modem terminology. A modern student of Hindu medicine has, no other choice but to depend on books that are written in English. To such students Chandra Chakraberty’s book is addressed. An Interpretation of Ancient Hindu Medicine is a complete book about Hindu medicine. Organized into five chapters, each chapter discusses and explains one particular branch of Hindu medicine. A reader can acquire all that he should know about Hindu medicine from this single book. The reprint of Chandra Chakrabert`s book will prove an opportune and welcome publication.